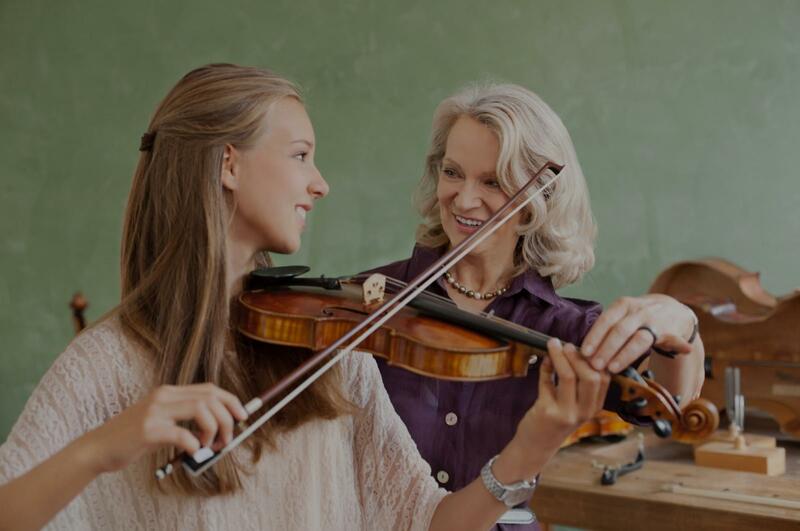 Brea, CA Violin Lessons Near Me | Fun Classes. Top Tutors. An accredited Suzuki violin teacher. I've been teaching violin for 8 years. Within the first few lessons, you'll be able to learn basic violin-playing posture, including correct bow-hold. I use Suzuki series books to teach my students, and add up some other etudes if needed. I love working with students of all ages and any levels and I can't wait to meet you! With a Masters in Music Performance from The Ohio State University, and an accredited Suzuki violin teacher from training program at The School for Strings, NYC. I have 10 years private teaching experience and 1 year group class teaching experience at Jefferson Academy at The Ohio State University. I am able to work with different ages of students with patience and passion. I use Suzuki violin books for beginners. In this series, I would like students to follow the order of each piece to build up their violin skill. I emphasize building a strong foundation of a good body posture including bow-hold. For more advanced student, we can use Suzuki book 4 or above and other similar level repertoire to build up their musicality and the knowledge of each composer. t few lessons, you'll be able to learn basic piano-playing posture and the basic knowledge on piano. As time goes on, you'll be able to reach to intermediate level. I typically use Faber piano book series. I bring my violin with me, students should have their own instruments (violin/piano) and a music stand (for violin students). I teach classical violin and piano. Beginning to Intermediate Piano Lesson for All Ages. Beginning to Advanced Violin Lesson for All Ages. Lily is the a great piano teacher for my 70+ year old mother. She is friendly and patient. She explains things well and in a way my mother can easily understand. She is punctual and my mother says that "the lessons pass so quickly!" My daughter shared that she liked Lily and Lily knew her stuff! Very satisfied with the first lesson. Lily is a great instructor. She knows how to communicate with students and how to hold them accountable so they can have self discipline. Her teaching method also effective as she showing students how to get better step by step. I'm an easy going, very experienced, highly qualified teacher with a Doctoral degree in Music Performance. I recently moved to Long Beach and I'm excited to start my teaching studio here. I've been teaching privately and in group classes for over 20 years, both traditional and Suzuki methods. I have over 25 years of performance experience in classical music. I'm also very active in the non-classical scene I've performed with celebrities like Rihanna, Steve Wonder, Trisha Yearwood and local artists, from modern flamenco to jazz, pop, rock. I'm a recording artist and specialize in improvisation and creative collaborations. music appreciation. My students enjoy discovering and strengthening their talents through my encouragement-oriented and patient guidance. I accept students of any level, starting from age 5 to adults. My students have won auditions to youth orchestras and colleges and some are now professional musician themselves. Whether you are learning for pleasure or for life goals, my studio is open to all. From the beginning I was astonished with Marta' s overall prior experienced, which in all encourage me to take classes with her. She is highly patient and explains all her lessons in a way that I can understand perfectly. Marta is highly dedicated and devoted to her students, overall I am more than satisfied with her lessons and effort. Marta is a talented musician who translates her skills into a managable learning program. As an adult beginner, I appreciate her flexibility, patience, kindness, and easy-to-understand instruction. I have a great time in her lessons! I've been taking lessons with Marta for a few months now, as an adult, and am really enjoying it. Marta is clearly an incredibly talented and engaging musician who is able to translate her experience for folks, like me, who might be new to an instrument or music in general. She is skilled in music theory and technique and really focuses on ensuring her students have the foundational skills necessary to build on as they progress. I'd highly recommend her - she makes the hard work of learning a new instrument (or expanding your existing practice) incredibly fun and rewarding. I've been teaching violin for 20 years and my students have gone on to learn and appreciate different styles of music. Within the first few lessons, you'll be able to learn the basics and as time goes on you'll be able to play different songs. I specialize in providing you with the guide, tools and knowledge that you will need to succeed. I love working with students of all ages and experience levels and I can't wait to meet you! Individualized lessons with a hands on approach to help with technique, style and accuracy. I have a BA in Music Theory and Violin Performance from the University of Vermont and have been playing in professional orchestras for over a decade. I'm extremely passionate about music and playing the violin and love sharing that with students of all ages and abilities. My teaching style is focused in the Suzuki method. I love the use of ear training and the structure of the books. I'm very flexible though, if there is a certain piece you'd like to learn or a different style you'd like to play I'm happy to accommodate. "The class went very well." ing had a mediocre experience with my previous teacher. Wow…what a difference. Dimitri ably blends his extensive knowledge, talent, and seriousness about his craft with a witty sense of humor. He is able to simplify the complexities of violin technique so that it is truly feels accessible. Highly recommended." Los Angeles, CA teacher: Dimitry O.
ing is structured and organized while keeping the lessons challenging and interesting enough to want to keep going. I value his time and knowledge. I also intend to continue learning the violin from Tigran for the long term. HIGHLY recommend!" Los Angeles, CA teacher: Tracy T.
"Great teacher! I am just beginning and Tigran is being so patient and he makes the lesson fun." n a significant improvement and enjoys taking his class with Anna. I am thankful for the way challenges my son. *** Highly Recommend her***"
nd him! Thank you, Nick!" Is the Suzuki Violin Method Right for Your Child?